The oil and gas industry is an expansive and diverse space. Whether your company is upstream, midstream, downstream, transportation or a provider of supporting services, we have you covered. We take the time to thoroughly understand your company's structure, operations, risks, and any contractual relationships. We comprehend the subtleties of non-operated positions, the nuances of joint-operating agreements (JOAs), the complexities of environmental impacts and exposures associated with drilling operations, production, gathering systems, transportation and retail stores. This type of knowledge is integral to providing the best coverages and service possible in a complex insurance landscape. We work with over 110 of the nation's top carriers to find the right insurance for your company, no matter what type of work in oil and gas you do. Businesses in the oil and gas industry face situations that require specialized insurance solutions. While, like other business, they need workers compensation insurance, general liability insurance, automobile insurance and property insurance, they also need policies that are specifically tailored to the equipment used for their business, potential environmental risks, and safety risks exclusive to their industry. The machinery, tools, and rigs used in the field cannot be covered by a standard automobile policy or property insurance policy. Instead, rigs and equipment coverage is necessary. These pieces of equipment are not only expensive to repair or replace, but it can devastate a business when they are out of commission. Insurance can provide replacement cost or agreed value in order to help the company get back on track as quickly as possible. Environmental damage caused by a malfunction or error that results in a spill can be devastating to an oil and gas company as well as the area and population affected by the spill. With cleanup costs and the potential for lawsuits, self-insurance is not always a practical option. 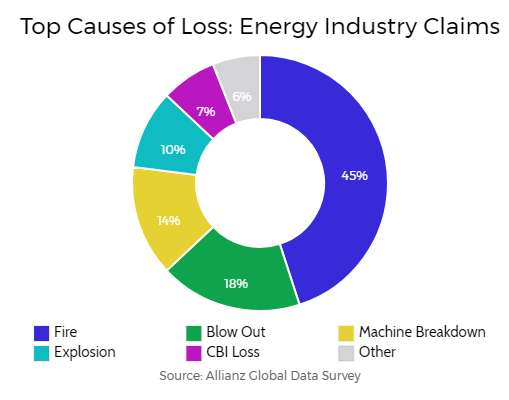 Oil and gas equipment coverage will cover some of the cleanup costs but additional liability protection through an umbrella policy may be necessary. New drilling and energy industry technologies have led to increases in fracking operations all over the US. Hydraulic fracturing or "fracking" for short, is a method in which large quantities of water, chemicals, and sand are injected into gas-producing shell rock beds, creating fractures in the shale formations and allowing gas to be extracted. With these growing operations comes the necessary need for proper risk management. More specifically to fracking, the concerns come down to environmental coverages to prevent the toxic water to seep into local water supplies. 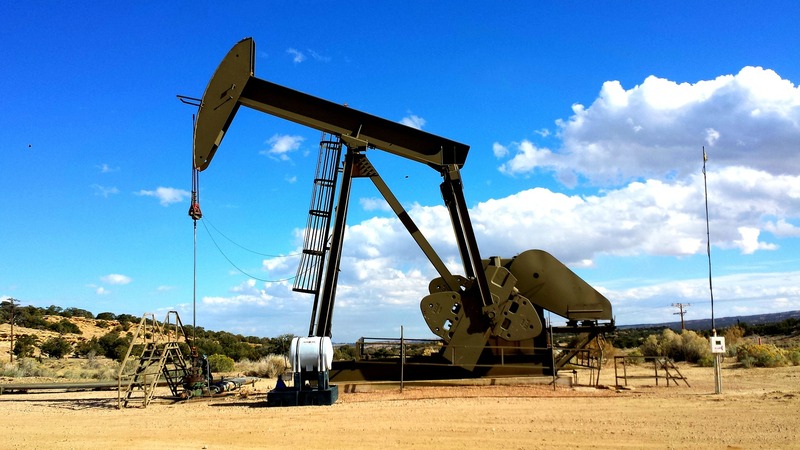 Having a comprehensive liability insurance management plan for your fracking operation will give you peace of mind that you and the surrounding areas will be covered in case of an accident. Employees of oil and gas companies can be exposed to far more risks than employees of other businesses. Providing employees with the peace of mind of having accidental death and dismemberment coverage as well as workers compensation coverage will not only help to maintain employee satisfaction and motivation, it will also help protect your business from potential claims you could face when an employee is injured or experiences a fatality on the job. Whether you're a pipeline contractor, oil and gas manufacturer/supplier, or a midstream company, we have the experience to tailor your insurance policy to what you need and the markets to ensure your costs won't hinder your company's growth. Your rig insurance needs to have coverage for all points of risk in your position. Our recommendations for additional tailored coverages will keep your business uninterrupted and protected. Whether your company contracts roustabout labor or hosts a fleet of trucking equipment, we have oil and gas insurance policies and markets to help you grow. Oilfield insurance can be tricky to navigate, trust only an experienced broker and risk management firm. One of the biggest threats to Upstream oil and gas companies is environmental risk. When it comes to extracting natural resources, there’s always a lot of moving parts to consider. When building a policy, often included is the Underground Resources and Equipment Coverage endorsement covering damage to adjacent reservoirs and to water tables. Other common policies included in a typical oil and gas insurance policy will be commercial auto and workers compensation. AIG risk management is the best place to start your oil and gas insurance broker and underwriting search. With hundreds of markets to shop your policies for you, we get you the best price at a coverage that embraces your company’s growth goals. Check out our blog for more Oil and Gas information here or fill out the short form below to have an expert get in touch.